Last post I looked at the web browser, Brave. I have since adopted it as my default browser. I love that it is fast, private, and secure; blocking third-party ads and trackers. If you are looking to get exposure and experience with blockchain technology without trading cryptocurrencies, this is a great place to begin. It’s not going to take you into the dark web, force you to download an entire blockchain onto your computer, upload content to an immutable blockchain or any other misconceptions that might be circulating. 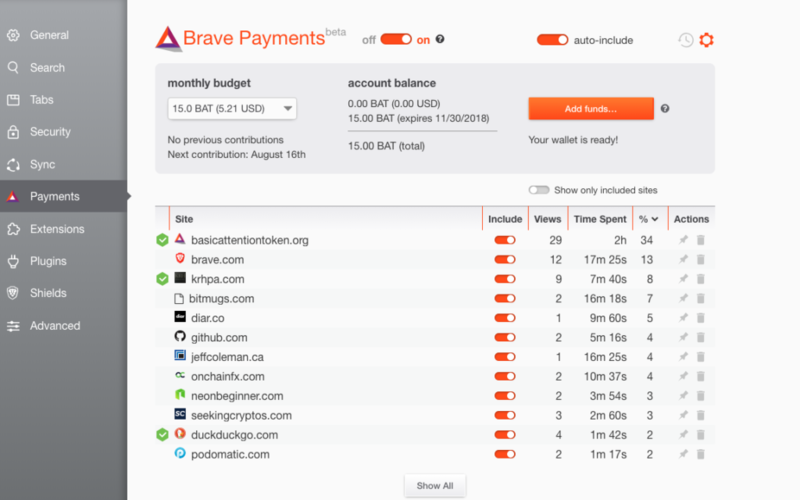 What it will do: give you exposure to one a clean interface, provide a user-friendly experience, allow you to receive and distribute BAT tokens within the Brave ecosystem. Along the way, you’ll have an opportunity to learn about two-factor authentication, private keys, and connect a digital wallet. This process is unidirectional, you cannot receive BAT tokens into your wallet and then transfer them out for trading. Here is a brief excerpt from my analysis I did for Seeking Cryptos when Coinbase announced BAT as one of the possible additions, regarding the team and my experience to date. For those of you that have crypto experience, you can probably stop reading here. It is seriously the most seamless signup process I have experienced to date. Block.one and EOS should have hired the Brave team for building a token holder voting interface. 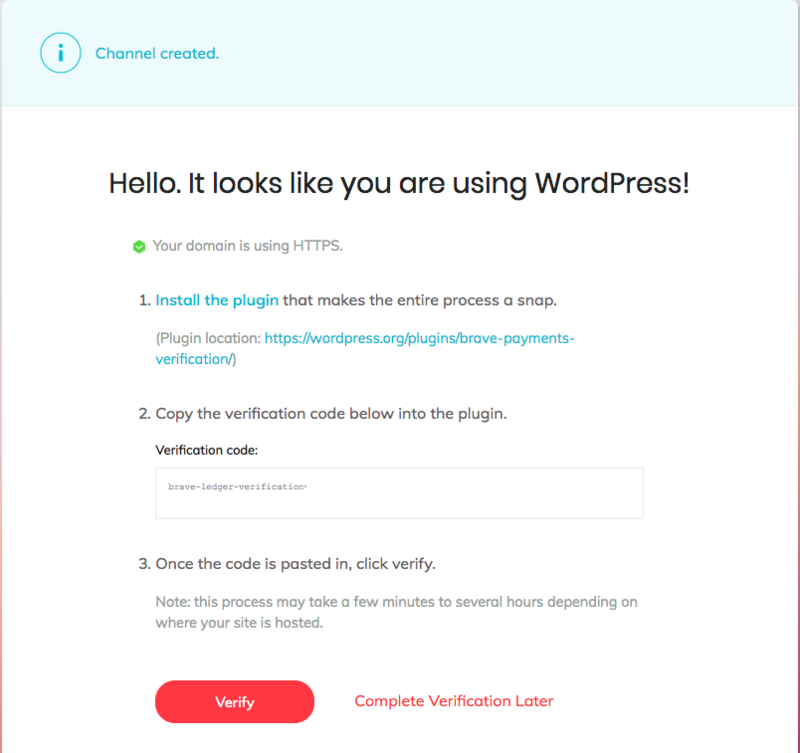 If you have a WordPress site, there is a plug-in. Brave will take note of it and walk you through step by step. 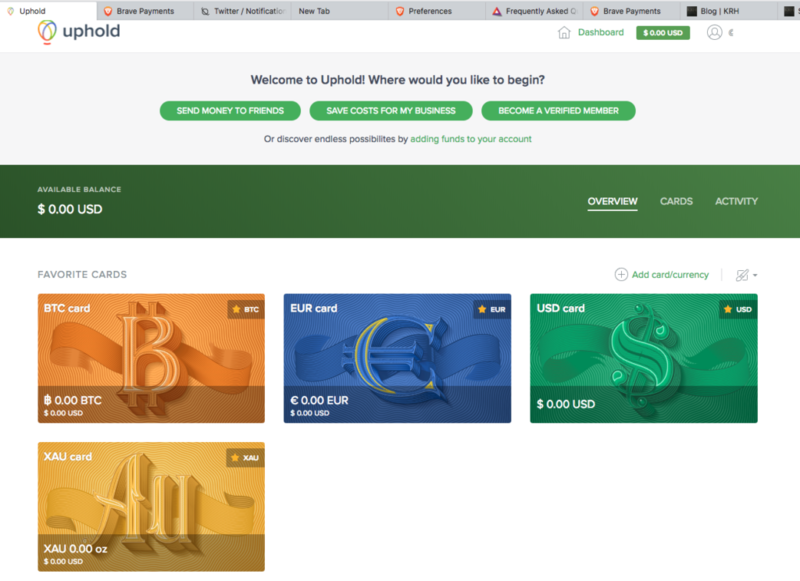 Add or setup an Uphold Wallet. Note you can do this directly from within the Brave Payment Dashboard. Fun fact for anyone new, Uphold has a useful Cryptionary on their site. What’s next? 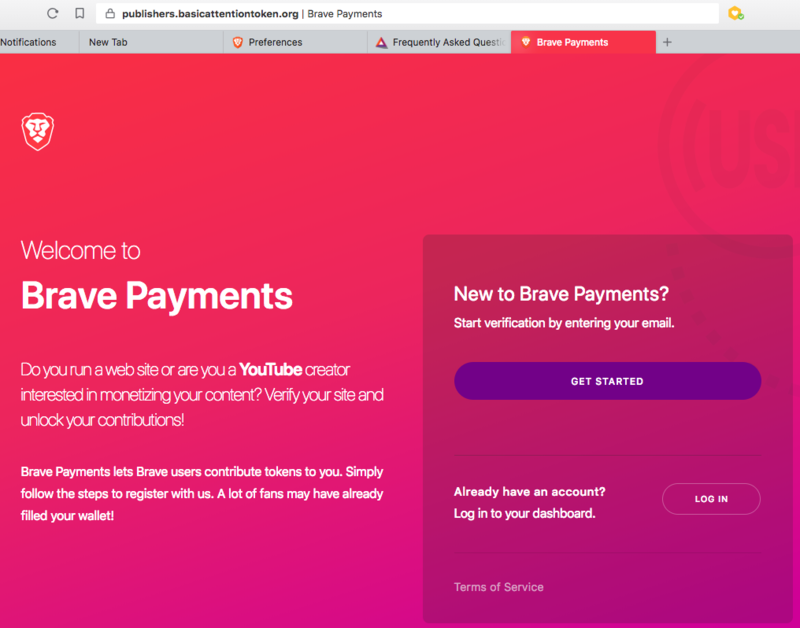 Consumers of your content, when viewing it in the Brave Browser, will have an opportunity to allocate their monthly BAT to your website/wallet. If you think I am missing a step or have any questions, let me know. This post is provided for informational purposes only. Nothing herein shall be taken as legal or financial advice. Disclosure: Author holds BAT tokens received through the Brave Wallet for educational purposes and use within the system.